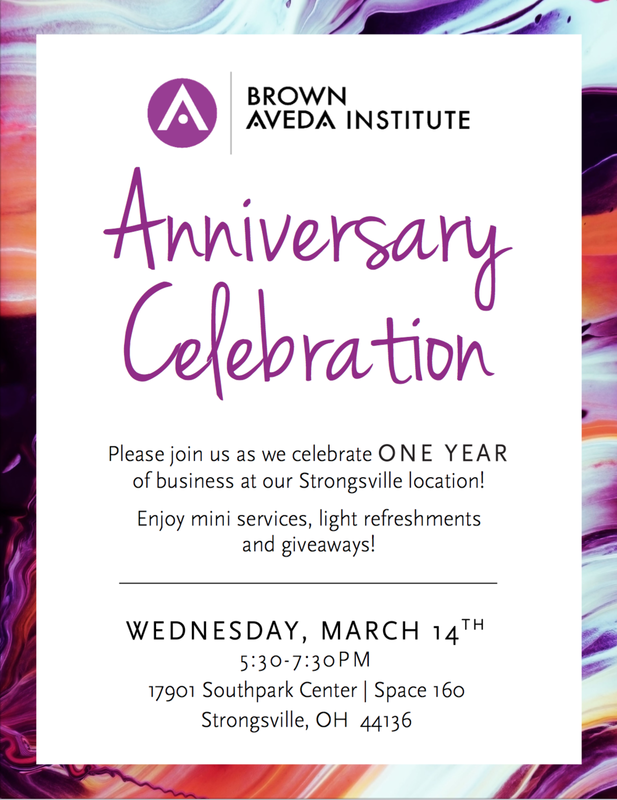 One Year Anniversary Celebration at Strongsville Brown Aveda Institute! Please join us as we celebrate one year of business at our Strongsville location! Enjoy mini services, light refreshments, and giveaways. Posted on March 6, 2018 by Geof Pelaia and filed under news.